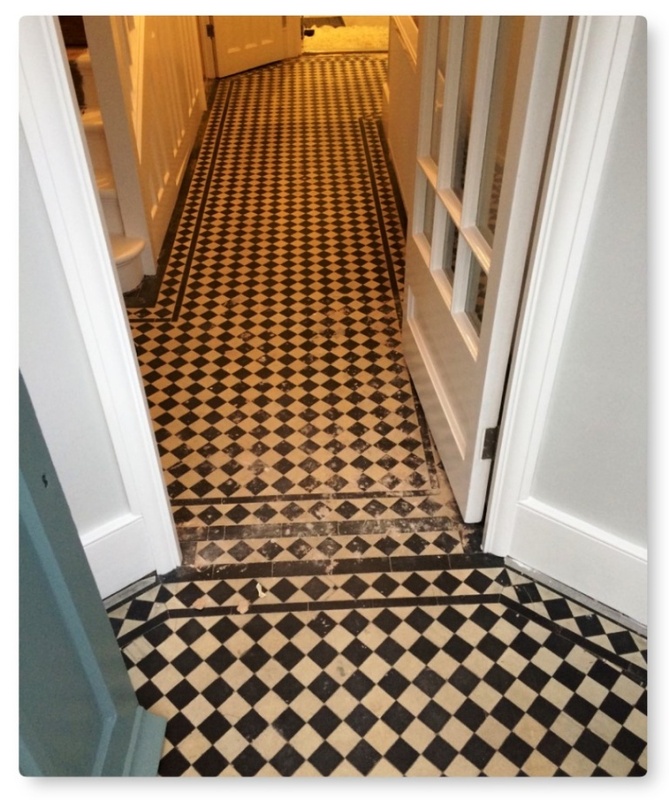 This customer from Islington in North London had an Edwardian Black and White tiled hallway in need of repair and restoring. 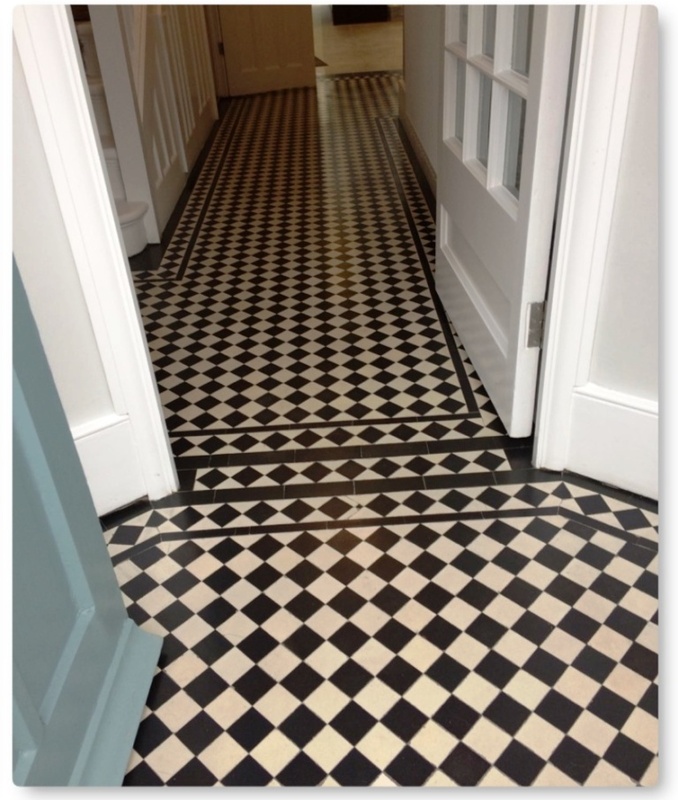 To restore the lustre of the Edwardian floor tiles the floor would need what was left of the old sealer stripped off, tiles deep cleaned, the replacing of missing and broken tiles and finally applying an impregnating colour restoring products and a protective sealer. You will full details of how this was done below. Before starting we covered the skirting, doors and threshold areas with protective tape. Then to remove what was left of the old sealer and clean the floor the area was left to soak in a strong solution of Tile Doctor Remove and Go for about ten minutes. It was then scrubbed into the tile using a slow speed orbital floor machine fitted with a black scrubbing pad and also hand held brushes to get into the corners and other tricky areas. The now soiled cleaning solution did a good job removing the dirt and old sealer and was rinsed away using water and then extracted with a wet vacuum. The tile and grout was inspected and the process repeated where required before giving the floor a final rinse to remove any trace of cleaning product. It was getting late at this point so the floor was left to dry off thoroughly overnight. 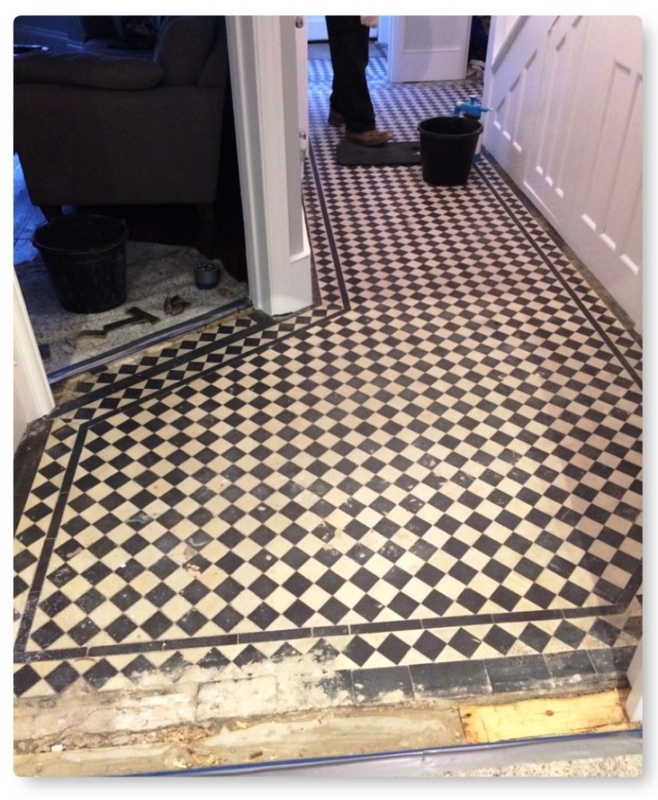 On our return we first carried out a number of restorative tile repairs using matching Edwardian reclaimed tile replacements primarily to the door thresholds and skirting board edges. Before grouting we applied a single coat of Tile Doctor Colour Grow sealer to the whole floor as this would make any excess grout easier to remove. Colour Grow is also a breathable sealer that impregnates into the pores of the tile protecting it from within and also enhancing the colours in the tile. We had to leave the floor for another day primarily to allow the grout to dry before returning the next day to complete the sealing process this time using six coats of Tile Doctor Seal and Go which adds a lovely sheen and works really well on Edwardian floor tiles. As you can see from the picture, the floor has been restored to its original condition and with the correct maintenance; it should last for years to come. 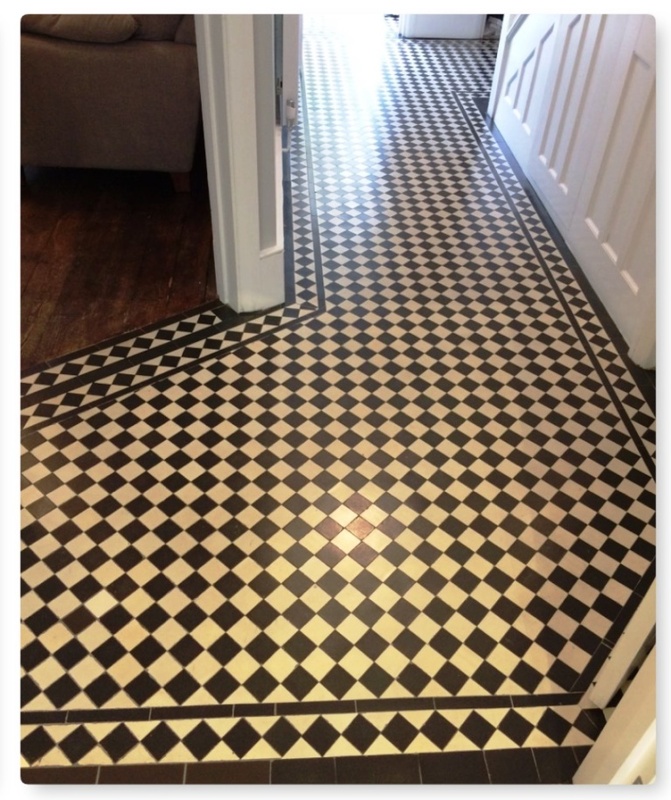 This entry was posted in Victorian Posts and tagged Edwardian Style, Edwardian Tile Cleaning, Edwardian tiles, hallway floor, Hallway Tiles, islington, london, restoration, Tile Repairs, tile sealing by AbzDominise. Bookmark the permalink. Covering North London Nigel Voyce is an agent of Tile Doctor, the largest Tile and Stone cleaning network in the UK who have developed the products and techniques to handle a multitude of issues surrounding tile restoration including stone and grout internal or external.